Moby tests the limits of your self-esteem with this popularity contest for his new album. 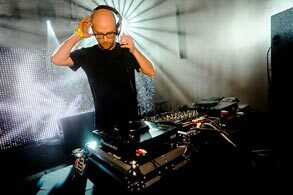 Entrants are competing for control of the guestlist for Moby's entire UK launch party. The trick is to "fill the place with 1500 mates, or mates of mates or their mates." To flood the house, UK players get friends to MMS 63333 with a unique guestlist ID. Back on the website, your audience swells as the messages roll in. Five ambitious promoters will be awarded "party crasher" tickets for punting the fete in the most original way and posting a video on YouTube. Pretty neat campaign. Seems like a helluva lot of work though. Put together by archibald ingall stretton.